Size: approx. 2 mm. Photo: 05/13/15, 10 pm. 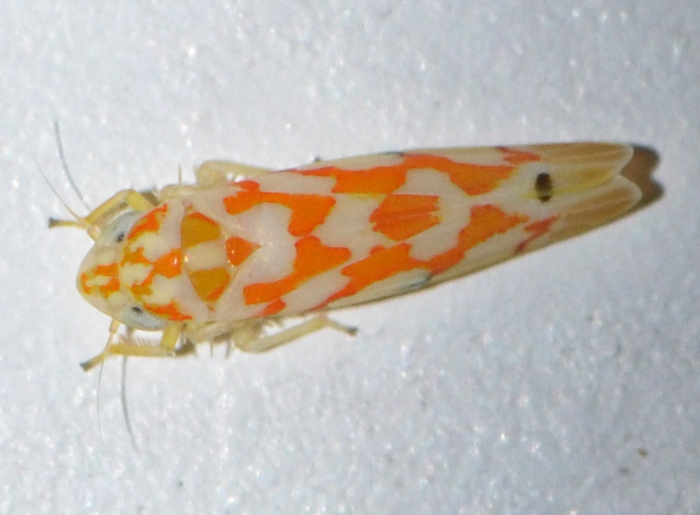 To my naked eyes, this bug looked only like a little, orange line but I got immediately excited about the prospect of a cool, new leafhopper and amazing it is. I must admit that I am clueless about how to distinguish Erythroneura and Eratoneura (see below). Size: approx. 2-3 mm. Photo: 05/28/16, 10 pm. Formerly a subgenus, or the "maculata" group, of Erythroneura, Eratoneura is a very similar looking genus. 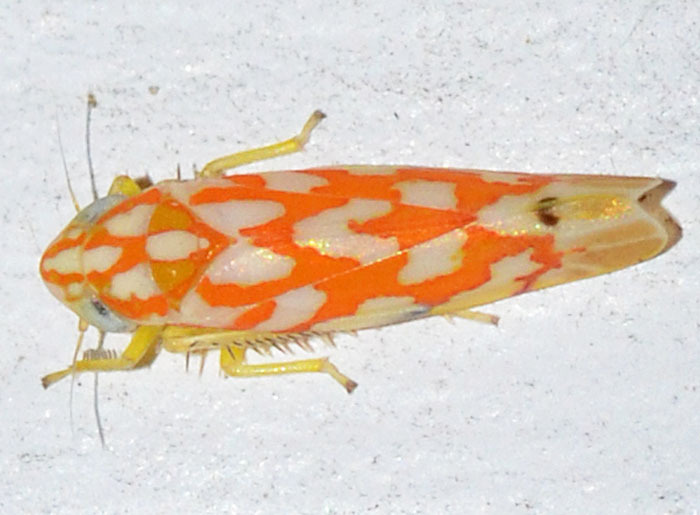 They mostly feed on oak, but E. maculata feeds on poison ivy.